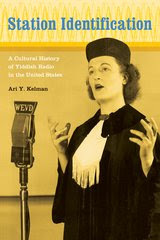 His new book is Station Identification: A Cultural History of Yiddish Radio in the United States. Thanks for asking. I guess, for someone like me, who reads a lot, as part of my job (whether I’m preparing for class or doing new research), it’s a funny question. Often, I approach reading like eating: I have to do it, and it’s more enjoyable when the quality is high. But I’d do it anyway. That said, I’ve had a chance to read some pretty extraordinary stuff lately, and, in addition, there are a bunch of books I’m always reading, and I’ll throw some of them in here too. The most extraordinary book I’ve picked up lately is a graphic novel by an Italian artist named Gipi. The book (his second) is called Garage Band, and it follows a teenage band as they settle in to and then lose their practice space. The book is quiet but the story is beautifully told in spare sentences and fluid ink-and-water color drawings that capture a bit of the band’s rambunctiousness. I’m doing an independent study with a student about re-urbanization in the 1970s, and I’ve recently read Miriam Greenberg’s meticulous and really engagingly written account of New York City’s response to the crises of the 1970s (crime, the fiscal crisis, etc.) The book, Branding New York, chronicles the city’s responses to a spate of urban problems and lays out the hows and whys of the “I *heart* NY” campaign, among others. It’s a great story and Greenberg tells it brilliantly. The liner notes to the Twenty Years of Dischord box set have also provided all kinds of great information and other fun stuff. With Pictures! oh, and music, too. I’ve developed a mild obsession with Continuum Books’ 33 1/3 series -- it’s a really clever line of books, and each one focuses on a single album and tells a story about that album. Some are more historical, some fictional, some provide a close reading of the record, and some spin a more abstract idea about the “meaning” of the record. The best one I’ve read to date (and I’ve read a number of them) is the Ramones book by Nicholas Rombes. It’s quite a great account of the album, and made me go back and listen again to that record with new ears. The books I’m always reading include Leonard Cohen’s Book of Mercy. It’s a little book of 50 hymns, written with the candor and passion that has made Cohen who he is. They’re intimate and scary, profound, honest and uplifting. And at some point nearly every day, I pick that book up and read a page or two, just to keep my head on straight. I had the great fortune to see Leonard perform in Oakland last week, and it was magnificent. His deep, rough voice was in full form, and it’s a pleasure to return to his Book of Mercy again, with his voice fresh in my ears. 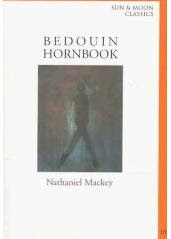 I’m also always reading Nathaniel Mackey’s Bedouin Hornbook. It’s an elusive book about an avant garde Jazz band, told through the fictional letters of the book’s narrator to the Angel of Dust. It’s moving, frustrating, book that captures not only the sounds of Jazz, but that somehow manages to capture the phenomena of listening, as well. I don’t know half the references to records that Mackey makes in the book, but it doesn’t make it any less entertaining, engaging, and moving. And then, there are the blogs. A few faves: Mashable, Moistworks, How we know us, Waxy, Tomorrow Museum, and The Jewish Daily Forward, just to keep me up to date on my roots.